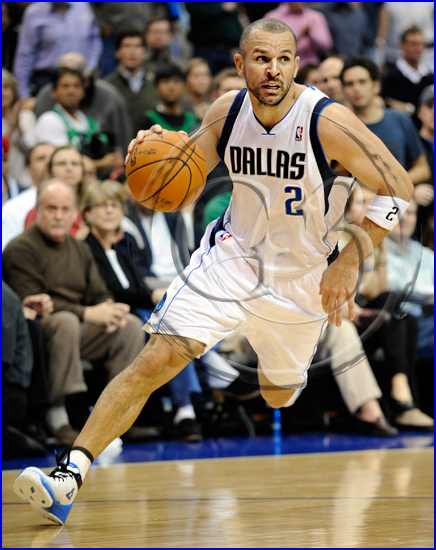 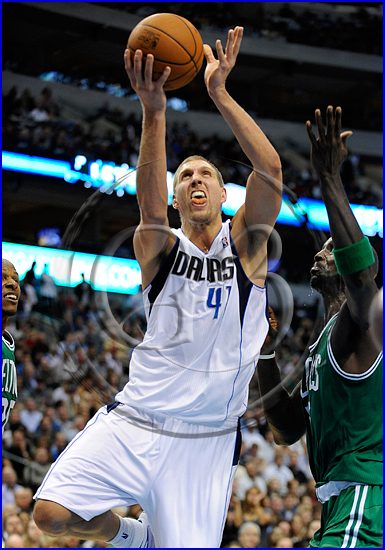 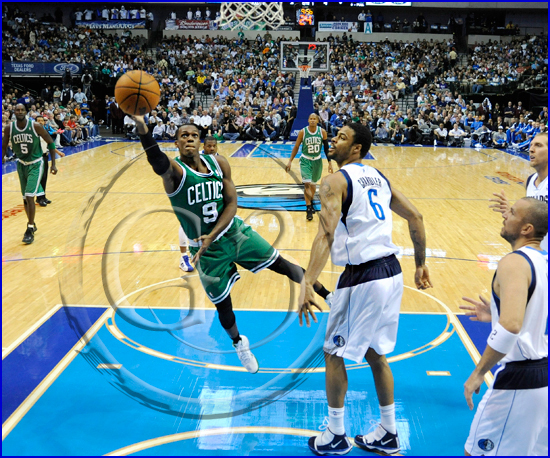 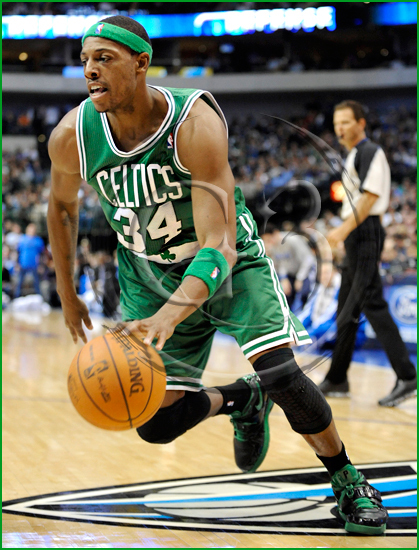 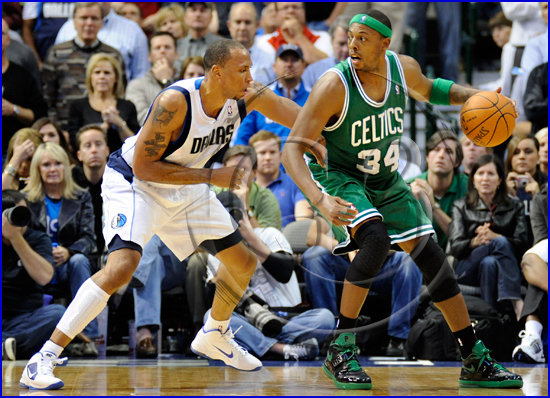 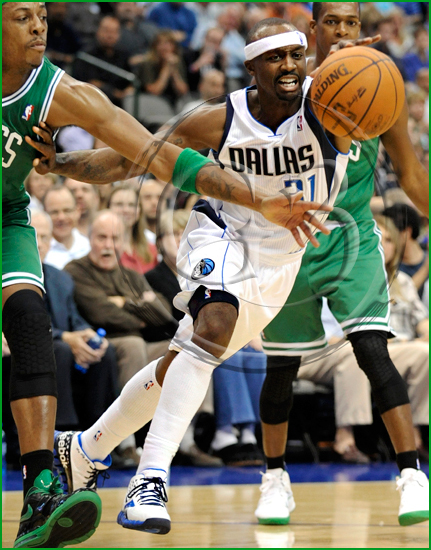 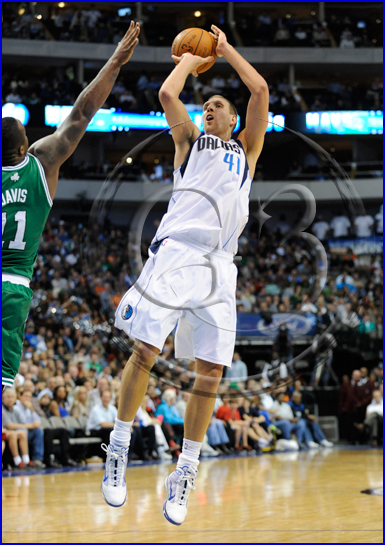 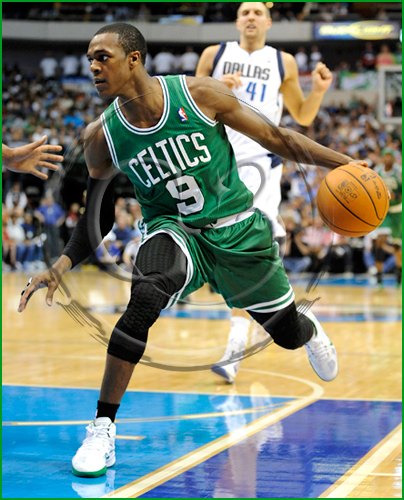 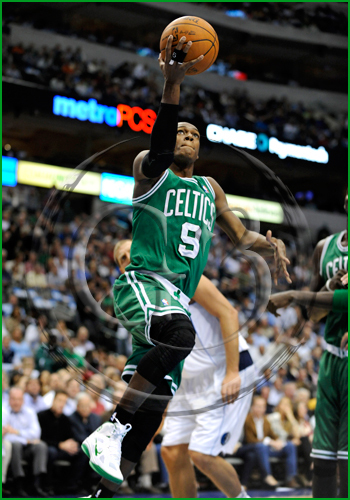 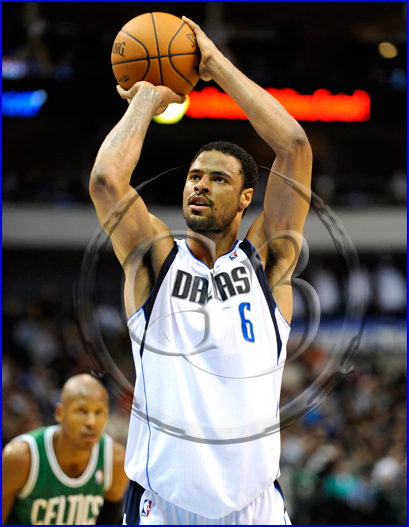 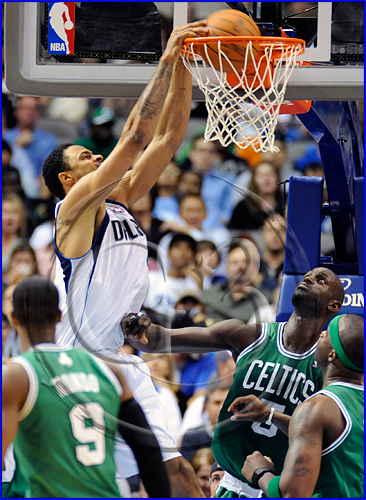 The Mavs held on to an 89-87 lead to beat the Celtics in Dallas. 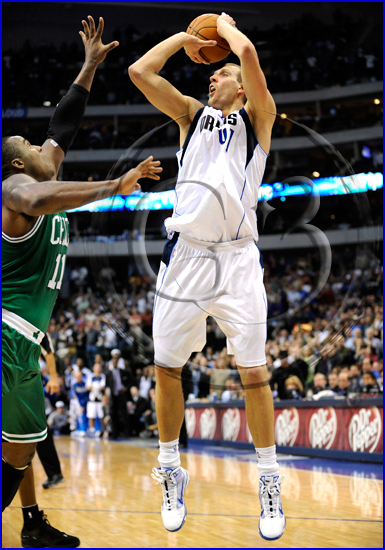 With the Mavs scoring the final 7 points and Dirk hitting what would be the winning shot turned an early season crowd crazy. 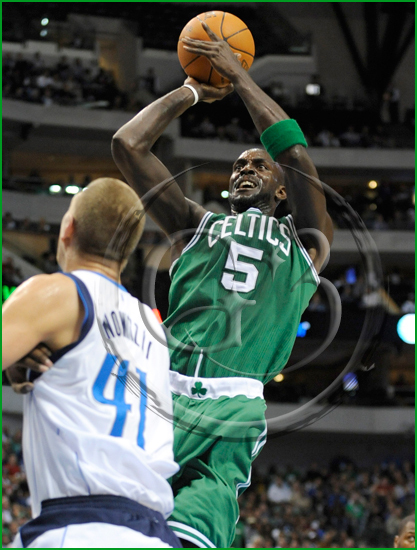 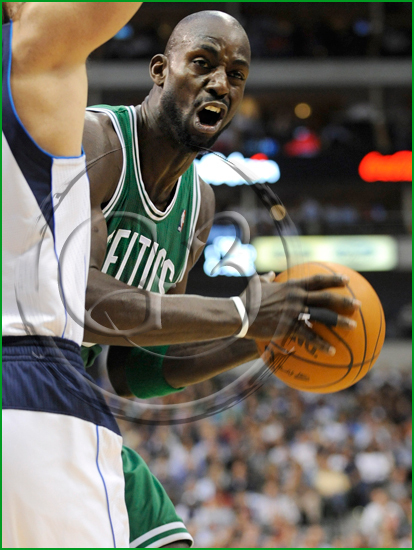 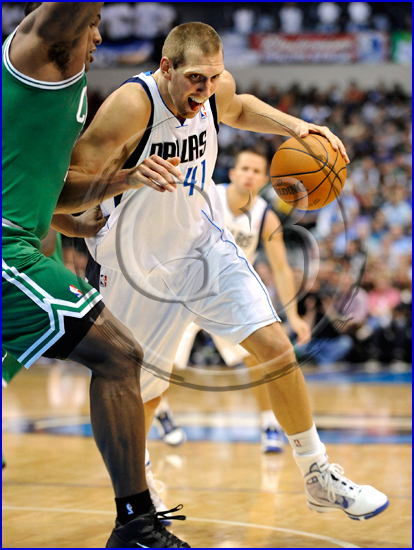 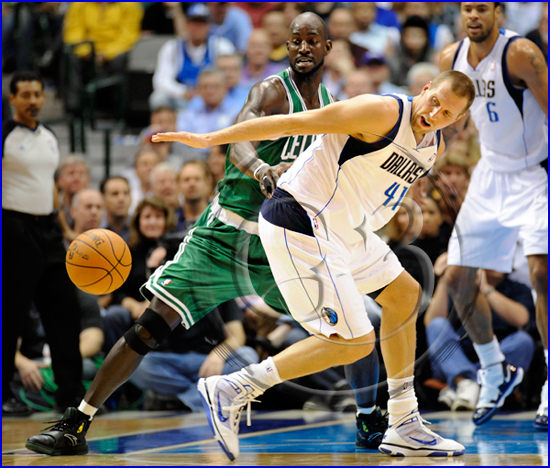 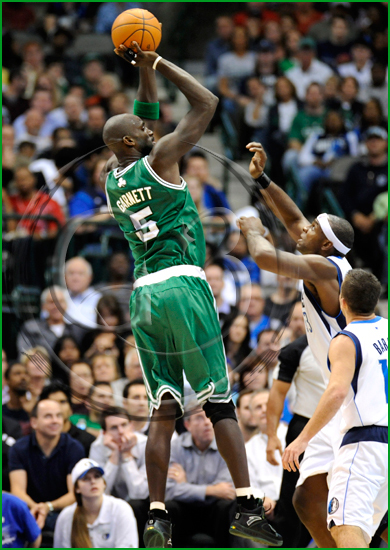 Dirk Nowitzki #41 and Kevin Garnett #5 battled all night and as much as he’d like KG can’t stop Dirk. 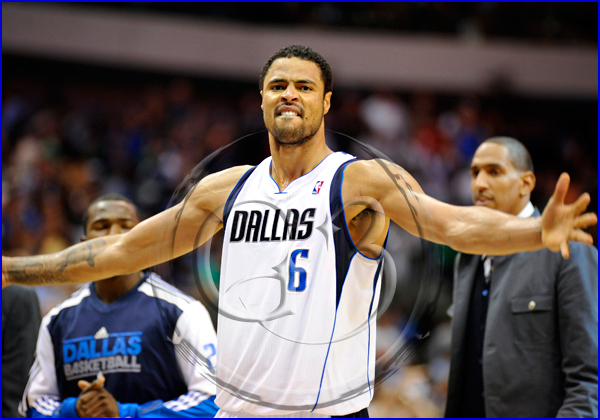 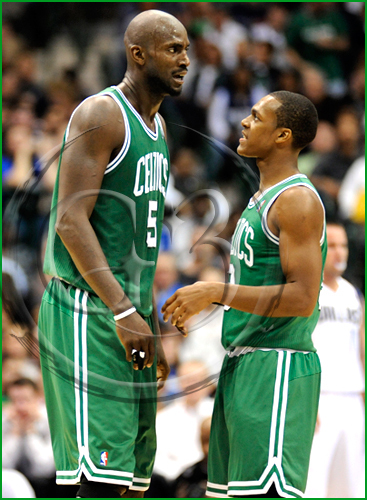 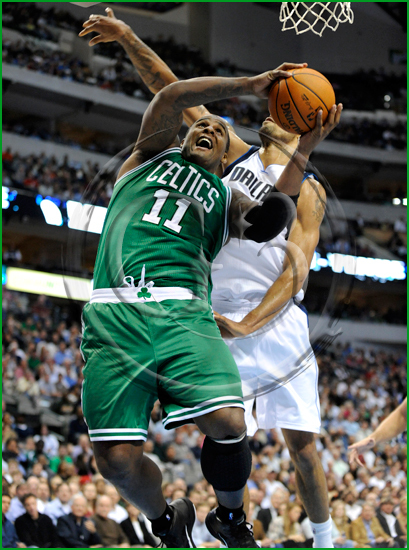 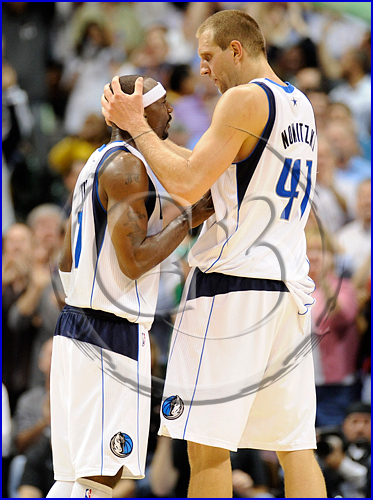 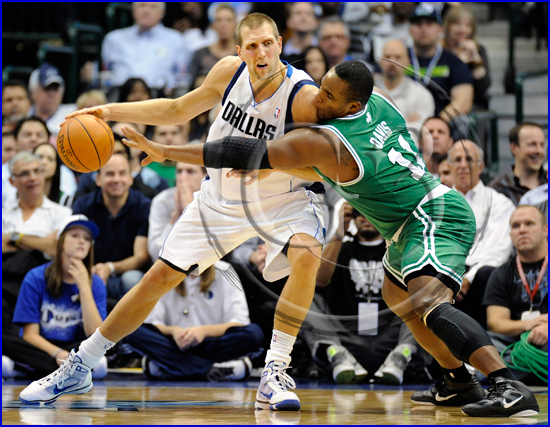 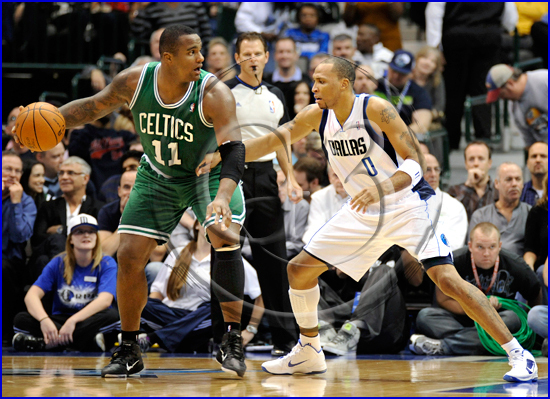 Dirk Nowitzki and Glen ‘Big Baby’ Davis – I love how Big Baby is getting a mouthful of Dirks shoulder in this shot. 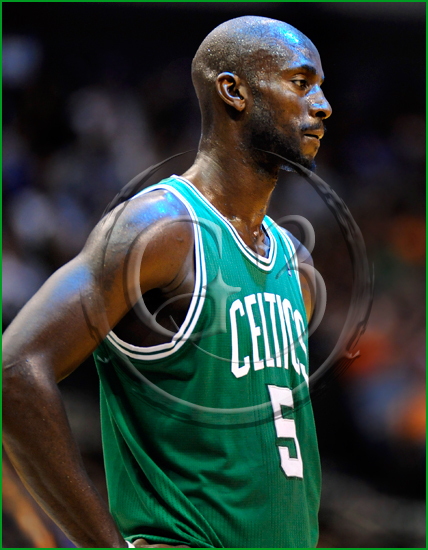 I know this is just a stock photo but I kinda like how the blue colored lights reflect off his head and shoulder. 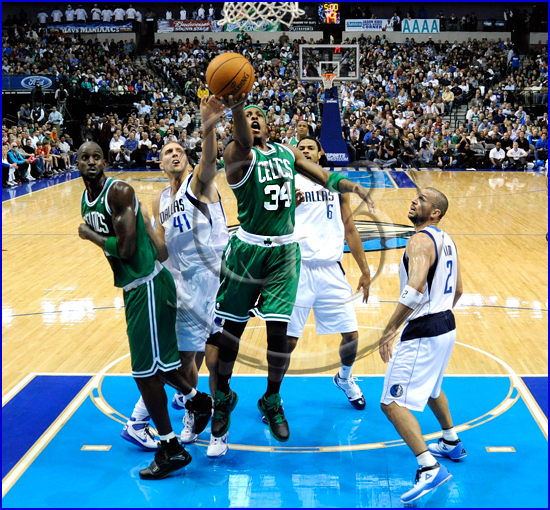 For certain games I set up a remote camera on the goal post, sometimes on both posts and this section is from my remote camera. 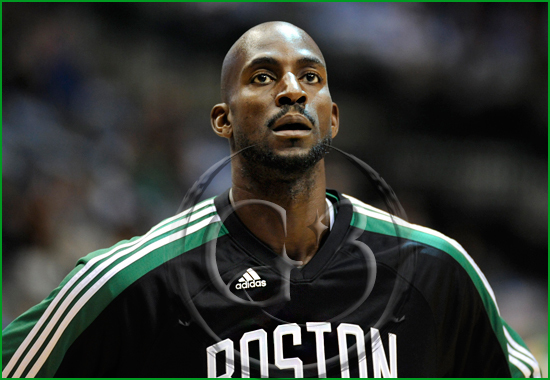 This is a secondary camera that I fire with a remote control for those not familiar with them.